Could a health plan benefit your pet? The simple answer is yes! Additionally, it will benefit you as well, with good savings for your pet’s health care. Firstly though, let’s talk about what a health plan actually is, and what it isn’t! Health plans are not pet insurance! Pet insurance will pay your vet bills should your pet become ill, or if they are injured in any way such as an emergency, but they do not cover routine healthcare. This is where a health plan will come in, to help cover preventative healthcare for your pet. Health plans also have additional benefits designed to help budget and give the very best care for your pet. Are all the vaccinations covered on a health plan? Canine Distemper (sometimes called Hardpad): this is highly contagious and the infection also has a high death rate in dogs. It attacks the gut, respiratory system and also the brain and skin. Infectious Canine Hepatitis: this is a virus that affects blood vessels predominantly in the liver or kidneys. It can also damage the eyes. Canine Parvovirus (Parvo): this is the most common and probably most heard of highly infectious diseases in dogs. Parvo can completely destroy the lining of the gut, leading to bloody diarrhoea and vomiting, which is often very severe. Because of the loss of fluids, dehydration and shock often follow. Any unvaccinated dog is at risk of Parvo, though it is most common in puppies. Leptospirosis: this is infectious to both dogs and people, and causes kidney and liver damage. It is spread usually by rat’s urine. Kennel Cough: this is not actually just a single disease, but a number of different viruses and bacteria. It is also known as Canine Infectious Tracheobronchitis and causes a honking cough, and sometimes retching and gagging. Other vaccinations for dogs are available including rabies, but these are more specific so not covered under the plan. And what about cat vaccinations? Feline Calicivirus: a common cause of cat flu. There are also some fatal strains of this virus known. Feline Herpesvirus: this is another cat flu virus, which mainly affects the nose and eyes. This virus can remain hidden even after the cat has recovered, only to reappear at times of stress. Feline leukaemia virus: this virus is quite closely related to FIV, but as well as destroying the immune system, can also trigger cancers - typically leukaemia or lymphoma. Feline Panleucopenia: this is similar to Parvo in dogs, causing severe vomiting and diarrhoea, and commonly damaging the immune system. It is also called Feline Infectious Enteritis. Fleas - still the most common cause of itching in pets. Bear in mind that 95% of fleas are hiding in your house, and not on your pet, so it is important to deal with the whole life-cycle. Our nurses will be happy to advise you on this. Ticks - these horrible parasites can spread nasty conditions such as Lyme disease (which causes fever, rashes and joint problems). Roundworms - these parasites live in the gut. Their larvae crawl around the body though, and cause diarrhoea and weight loss, sometimes even more serious conditions. Tapeworms - these are spread by infected fleas, or by pets eating infected live prey such as rats and mice. Tapeworms can grow to a massive size, in fact many metres long, and cause weight loss and itchy bottoms! 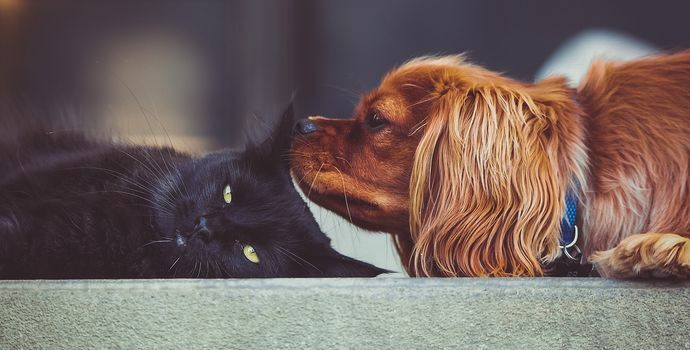 Lungworm - although affecting both cats and dogs, the cat version is pretty harmless compared to the dog lungworm, which can be fatal in our canine friends. These are just some of the benefits of keeping your pet covered with preventative health! Our health plan also gives discounts on consultations, dental treatment, food and even accessories in the practice. You can also benefit from 15% off chronic medications and 10% off neutering! It helps spread the cost and saves around 15% on in-practice prices – but also helps give pet owners invaluable peace of mind when it comes to their pet’s health. For more information on our pet health plan, and how it can benefit your pet, please call the Nantwich Pet Vets team on (01270) 610322. Alternatively, please pop into the practice for more information and we will be happy to help. Does your Rabbit have Signs of Skin Disease?